My bathroom fan is not working in my suite, where can I find a replacement unit that is the same? Call Pacaire located in Surrey. They typically stock this the brand CARNES. Detailed information is listed below. However, make sure you check the build-in wall-timer is set properly before you replace the fan. See below instructions "My bathroom fan is not working in my suite, what can I do?" on how to check this. My bathroom fan is not working in my suite, what can I do? All suites have a built-in in-wall timer to control the bathroom fans. Please ensure the timer is set to the on or timer position in order for it to work properly. The operating instructions are attached for your convenience. My heating is not working, who can help me? When in suite heat is failing we suggest you call a heating contractor to take a look at the system in your unit. They will be able to determine what the issue is. España uses Elafon Mechanical as our preferred contractor and can be contacted at 604- 688-0001. However, you are welcome to contact the contractor that you feel more comfortable working with. Please be aware that once the problem is identified, it may be determined that it is an in-suite issue, therefor making it the owner’s responsibility. An invoice will be sent to the strata lot. If you are a tenant, you must first contact the owner or the landlord/agent and notify them of the situation. The owner or landlord/agent can determine what course of action will be taken at that point. Please do not call a contractor yourself directly, as you will have to pay the invoice if it is deemed an in-suite owner responsibility. I am having problems with my dryer, who should I contact about this? España uses Elafon Mechanical as our preferred contractor for plumbing and heating/cooling needs. The contact number is 604-688-0001. However, you are welcome to contact the contractor that you feel more comfortable working with. If you are a tenant, you must first contact the owner or the landlord/agent and notify them of the situation. The owner or landlord/agent can determine what course of action can be taken at that point. I am having problems with my dishwasher, do you have a number that I can call? España uses Elafon Mechanical as our preferred contractor for plumbing and heating /cooling needs. The contact there is Paul who can be reached at 604-688-0001. However, you are welcome to contact the contractor that you feel more comfortable working with. I am having problems with my washer, do you have any number that I can call? España uses Elafon Mechanical as our preferred contractor for plumbing and heating /cooling needs. The contact number is 604-688-0001. However, you are welcome to contact the contractor that you feel more comfortable working with. There is a light out on my floor, what can I do? At España we appreciate when residents call and let us know if there is a light out on any of the floors. Our maintenance staff inspects each of the floors daily, but a light bulb burning out is unpredictable. In case a light bulb is out in any of the floors, please let the concierge know by calling him/her at 604-307-6901. The concierge will contact the maintenance supervisor to replace the bulb as soon as possible. 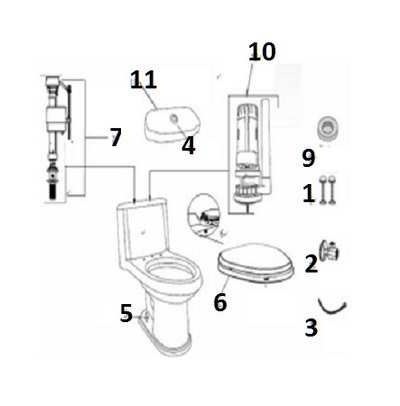 My toilet is not working, where can I find parts? Toilets are made by Milim G&G Ceramics in China. 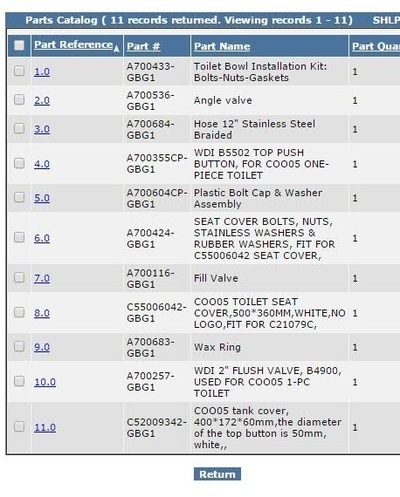 The canister and/or push buttons for the Milim toilets can be ordered thru globe union @ 1-888-663-2603 follow the prompts as a consumer. Below are the two most common ordered parts. They need to be ordered together to work properly. 10.0 Item# A700257-GBG1 SKU# 386082 WDI 2” Flush valve, B4900, Used for Coo05 1-pc toilet. To order parts go to the website http://findpartstoday.com/ Enter part # for example A700257-GBG1 into the search area. It will list the items with a price in US dollars. My door front entrance door lever is not working or broken, where can I find a replacement? If your door lever is not working an option you have its to contact McGregor-Thompson (a local hardware store) at 604-253-8252 for a replacement part. The front entrance door requires a fire rated lever (Part No. 30-D004434PCFC). Please note it takes appropriately a week to be ordered in. The cost is approximately $53.00 plus taxes for the set. The specifications for all in-suite replacement levers are listed below. Specification: Door lever part is a Taymor Equinox (Premier) (Passage Set), in Polished Chrome. Specification: Door lever part is a Taymor Equinox (Premier) (Privacy Set), in Polished Chrome. Specification: Door lever part is a Taymor Equinox (Premier) (Dummy), in Polished Chrome.